Mei Li, this Dreamy Eyes stuffed panda bear, is ready for hours of fun and adventure along with lots of cuddling and snuggling. 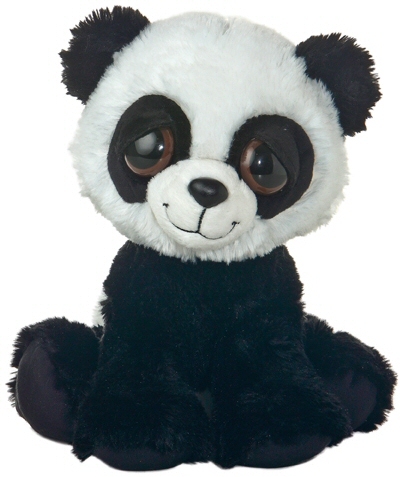 Plush Mei Li panda has soft white and black fur, black accents, and big sleepy brown eyes in an oh-so-sweet smiling face. Standing, sitting, or just flopping down, there's no need to worry about what to feed this stuffed panda... this plush panda's huggable tummy feeds only on love. Baby Gansu, this adorable stuffed panda bear, is just the right size for "anywhere" fun.